How many of you have dogs that love to get dirty outside? If your dogs are anything like mine, they would be covered in mud if they had their choice. This is especially true for Rylie, who loves to play in the little stream we have in our backyard. If she had her way, she would be head deep in muddy water, digging for moles and other little creatures that live there. Luckily for mom and dad, usually the worst offense we have is Ivi and Rylie both trying to come in the house with very muddy paws. While this may not sound like a big deal, it is usually fighting two dogs who want absolutely nothing to do with their paws being cleaned by wet wipes, washcloths, or heaven forbid, the tub faucet. Recently, however, we found the perfect solution for muddy paws – the PawPlunger Paw Cleaner. 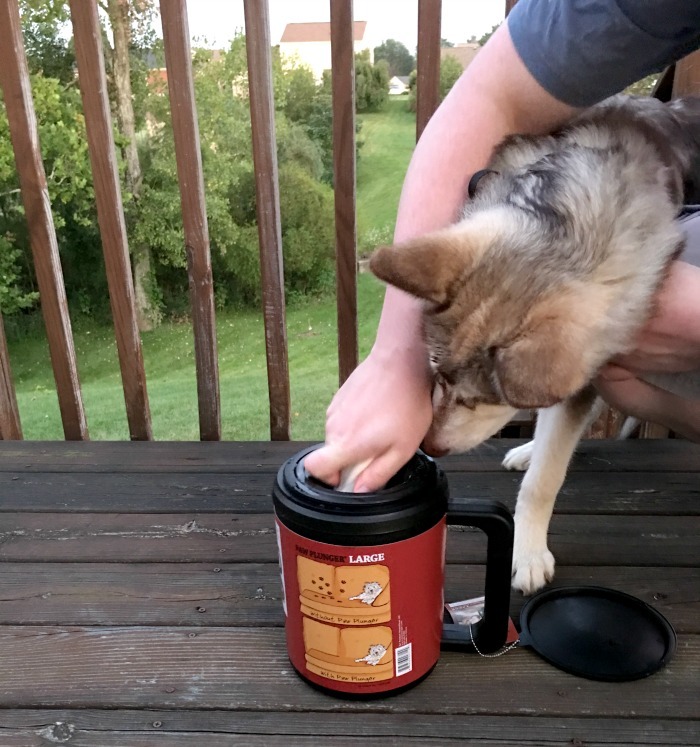 When we found out we would be reviewing a complimentary PawPlunger, we couldn’t wait for it to arrive! PawPlunger Paw Cleaner: What is It? Looking for an innovative products to help dog’s paws stay cleaner? If so, we think you will love the PawPlunger Paw Cleaner. 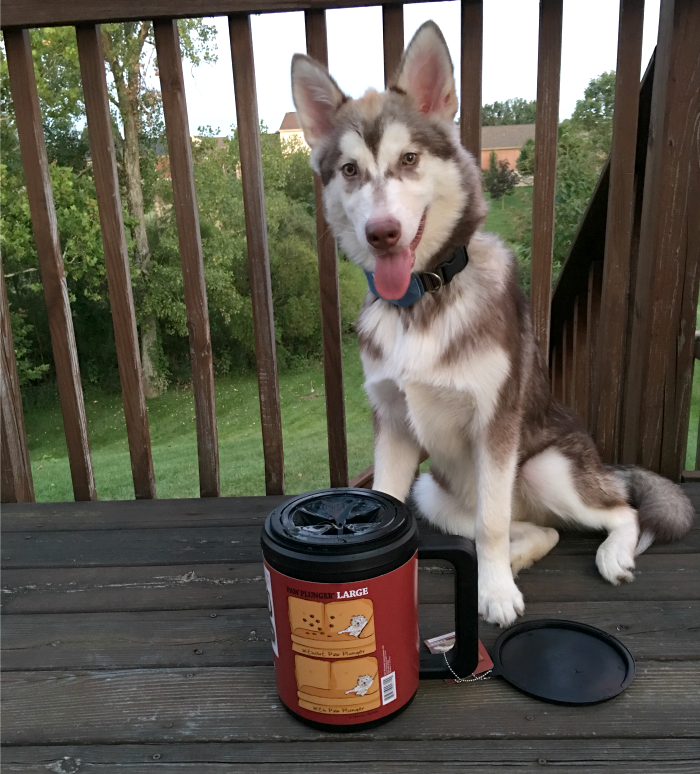 This cool product looks like a giant coffee mug that works like a little car wash for your dog’s paws. All you do is fill it with warm water, put your dog’s paw inside, and plunge away to leave your dogs paws clean and free of grime without irritating their paws. Best of all, it comes in two sizes – medium for dogs 15 – 80 pounds, and large for larger breed dogs over 80 lbs. To learn more about this cool paw cleaner, make sure to watch the video below! Having dogs that love to play in the dirt and find interesting ways to get dirty, I have to say that the PawPlunger Paw Cleaners seemed perfect for my family. What attracted me the most to the product, however, was so many people saying how it was great for dogs that were the size of mine or larger. I mean, let’s face it, so many people never think of the larger breeds, leaving us hopeful that someday we can have useful products for our own dog. 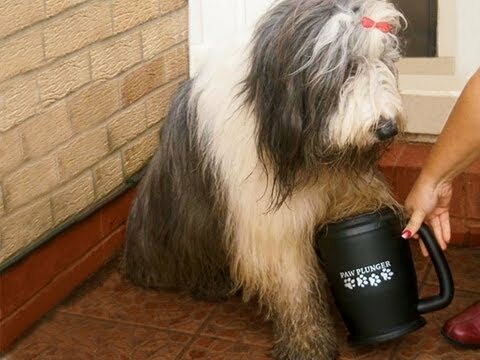 With this paw washer, I have to say it is a dream come true for large dog owners. While our dogs weren’t thrilled about it at first (okay, they fought it), it did leave them with cleaner paws right at the doors, something that this dog mom loves when it comes keeping our carpet and wood floors cleaner. Best of all, it is very easy to use, making it perfect for not only in the home, but the car as well! Based on our own experience, we are delighted to give the PawPlunger Paw Cleaner an A rating! 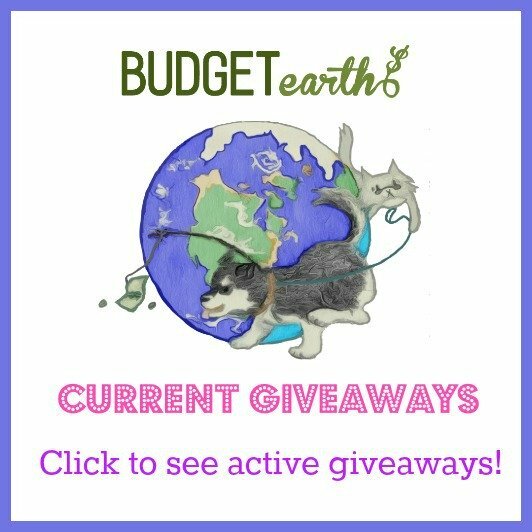 Want to purchase this awesome products for your own dog? You can find the PawPlunger Paw Cleaner on Amazon.com starting at $15.99. Currently, it is available in three sizes (petite, medium, & large) and three colors! Make sure to pick one up today to keep muddy paws out of your house! We use an old plastic mixing bowl we have for Gavan’s feet. For the most part, it does work. But this would be wonderful for those muddy times, since it seems to really clean the dogs feet, instead of me just putting his foot in an open bowl of water and trying to dig the mud out myself. Will have to keep in mind for when we finally get rain (major drought right now) and since my backyard has turned to dirt and barely any grass, i’m going to have to be washing his feet lots and lots! What a great idea! Folks are so clever coming up with these products to solve our problems! No more muddy doggy prints on my floors! This is cool! I’m thinking wow I had an old English sheepdog like the picture, with a brook in the back yard. It was so hard to keep her minimally clean esp her paws, it would have been so much easier if I had one of these! Neat product! Such a simple but practical solution! I wondered what that was. Well as long as it works that is great! This is a wonderful idea and i could use this for my 1 year old dog Snoop! This is great makes the job so much easier. I don’t have a dog, but this is really a great idea. I’ve seen muddy paw prints on white carpet and thought why don’t they clean his paws before he comes in. With this, there’s no excuse. What a great idea! Love this! I cringe after the dogs go out on a rainy day and come back in…tracking mud everywhere. This is such a perfect solution! This is a funny looking item, but I bet it’s great for those whom are super bothered by muddy/dirty paws. In the first pic, though, I thought it was a Folgers can! LOL!